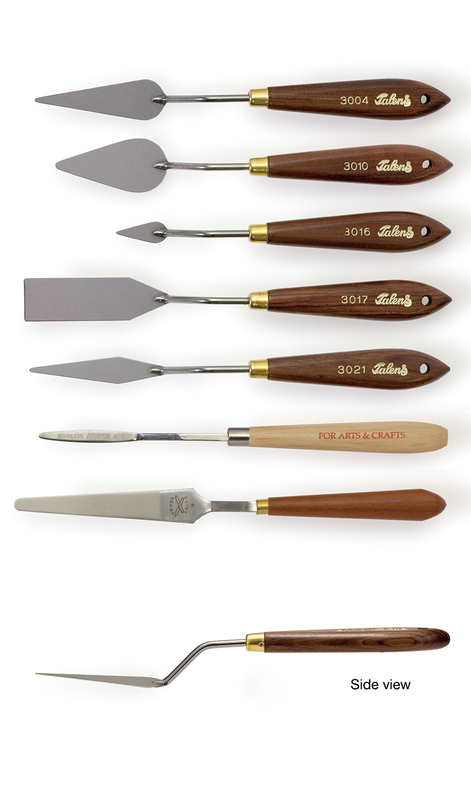 Painting knives are small, spatula-shaped painting tools used primarily in oil painting. 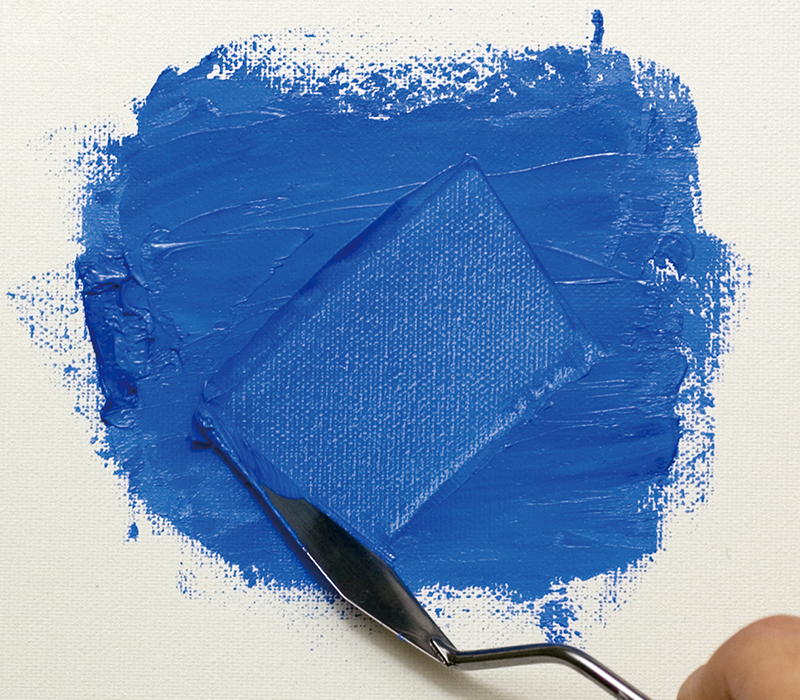 They allow for bold applications of paint that differ from those of a brush, such as paint clumping, paint flattening, paint smoothing, and paint scraping. Painting knife “blades” take various shapes, including diamond-shaped and teardrop-shaped, and are set into their handles with angled stems, resembling a trowel used in plastering. The blades come in various lengths depending on their shape, from roughly 2.5cm up to 9.5cm. The blades are slightly thinner than those of palette knives, which are used to mix colors on the palette, and are also more flexible, though their rigidity will vary depending on the material and method of construction. Wood or plastic is used for the handle, while metals such as stainless steel are used for the blade. These metal blades can either be inexpensive welded blades, or more durable forged blades of the sort used for knives. Finally, there are painting knives made entirely of synthetic resins such as polypropylene, which are used for water-soluble paints, such as acrylics. There are ways to identify a good-quality knife, including pressing the knife against a flat surface to make sure that the blade tip does not bend back or lift off the surface; it should remain flush with the surface. Also, when pressing the tip of the blade against a flat surface, it should display enough spring that instead of crimping, the blade merely curves gently. 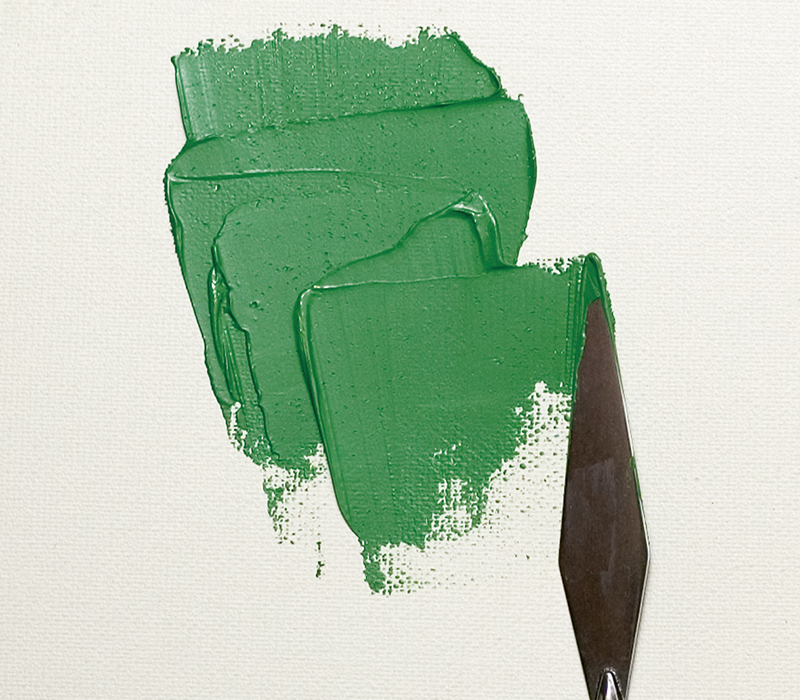 Painting knives are normally used by scooping paint liberally from the palette onto the underside of the blade, and then pressing it against and sliding it along the surface of the painting to apply it. Various textures can be produced depending on how firmly the blade is pressed against the surface, as well as on the direction and nature of the sliding motion. 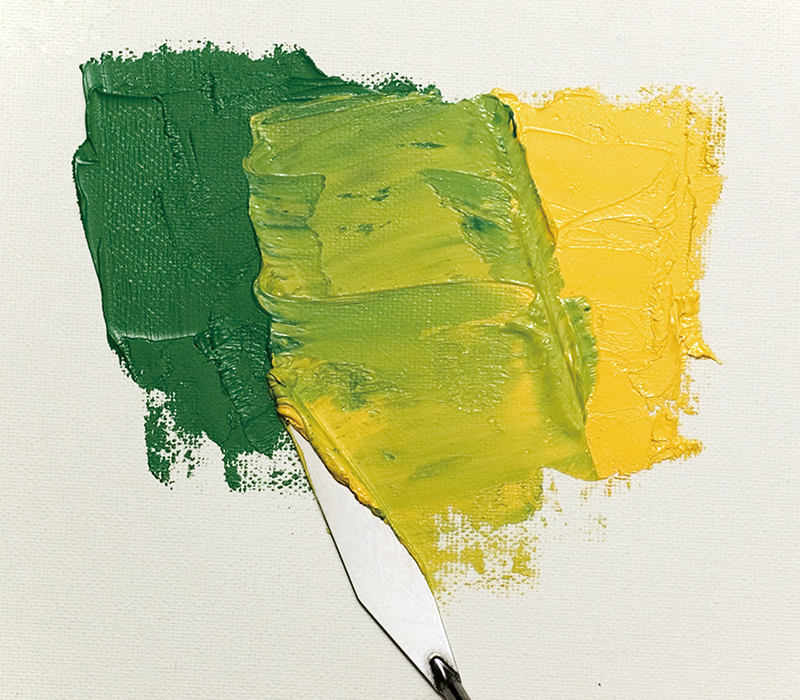 In addition, various expressive effects can be achieved with the paints that are already on the painting, by rubbing, spreading, scraping, or scooping up the bent with the underside of the blade. 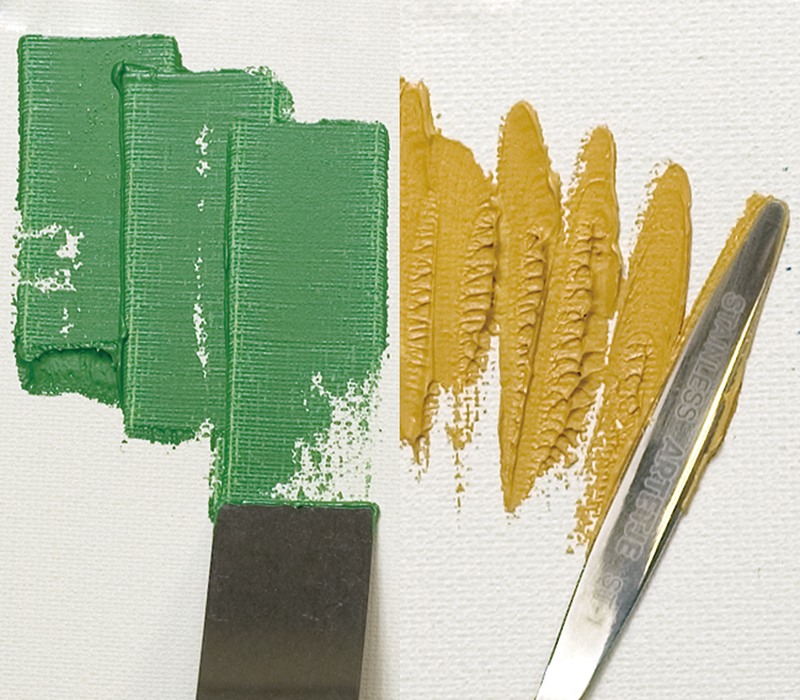 Painting knives may also be used in order to blend colors on the palette and when cleaning a palette after use. One should exercise caution not to blend in undesired colors when combining multiple inks. 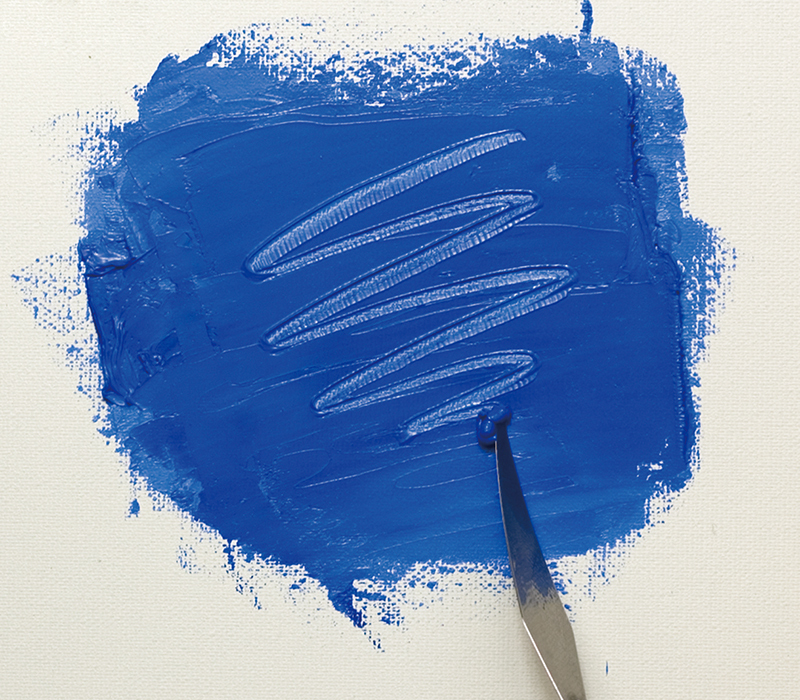 To this end, it is preferable always to wipe any remaining paint off the blade with a cloth before use. Also, after using a painting knife it is important to clean the blade thoroughly to avoid corrosion caused by rust, etc. 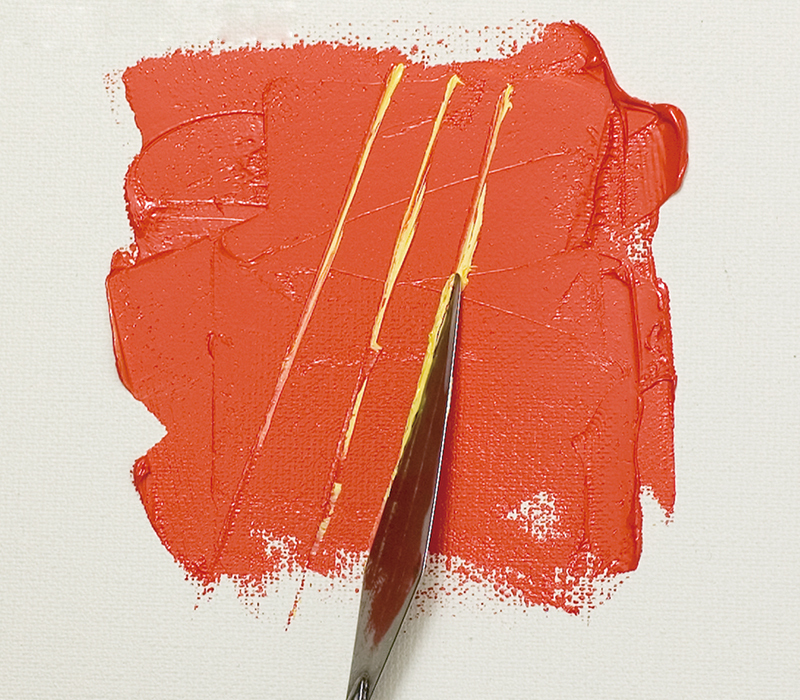 After long periods of use, knife-edges will grow sharp and could damage canvases. A whetstone should be used to round blade edges. Painting knives may be purchased at art supply stores.